What happens when the cutest girl in school confesses her love to a table tennis fanatic? Gets rejected of course! There's only one love in his heart and that's for table tennis. The other sports clubs in school can't stand him getting all the attention and seek to beat him at his own game. Takujou no Ageha (Butterfly on Table) by newcomer Itsuki Furuya started in issue 51 of Weekly Shonen Jump. Furuya's artwork is very nice and the story is different from the norm of girl meets boy. 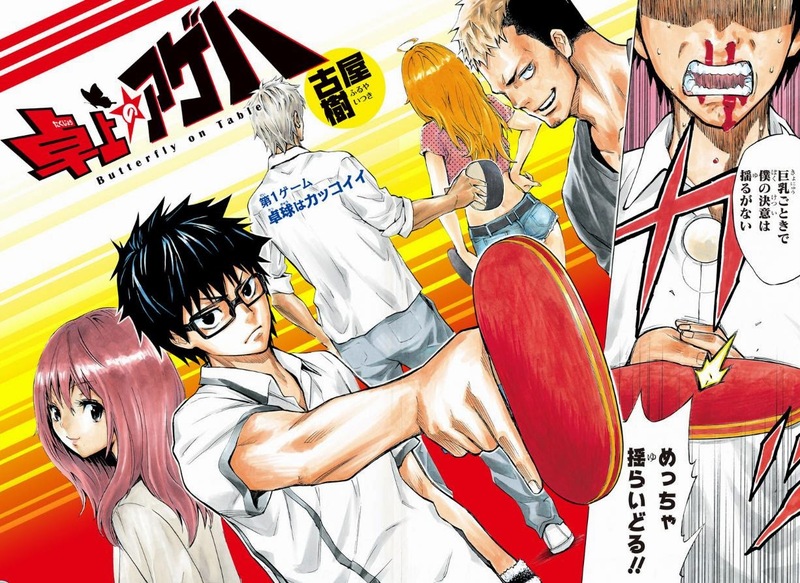 Ageha has devoted his life to table tennis, as a Samurai devotes himself to the sword. How will his meeting with the cutest girl in school change his attitude towards his art.